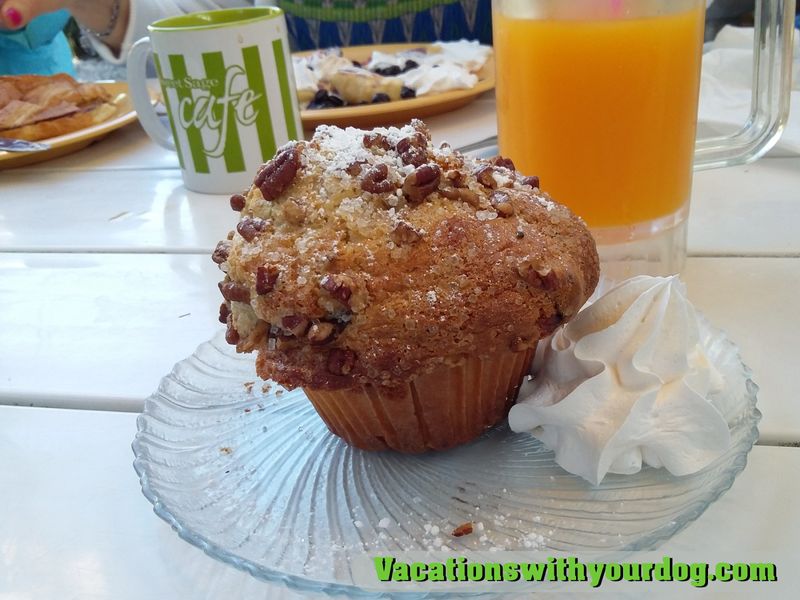 During our dog-friendly Florida vacation, dog-friendly restaurants were at the top of our list. 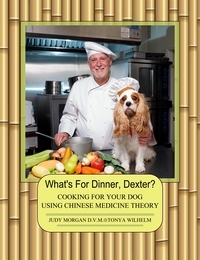 I mean, we all love to eat, including Dexter The Dog. 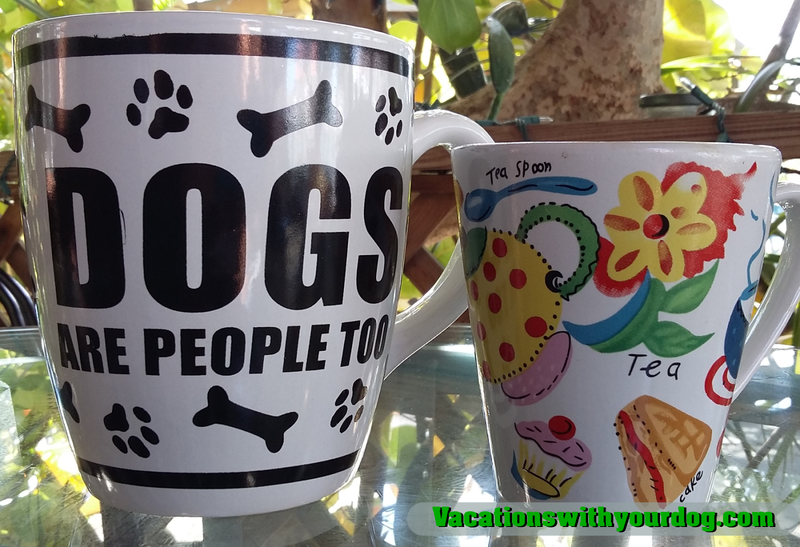 When planning our dog-friendly vacations, I do a little online research first. I look for restaurants that have outdoor seating, then I hit the email to inquire if they are dog-friendly. 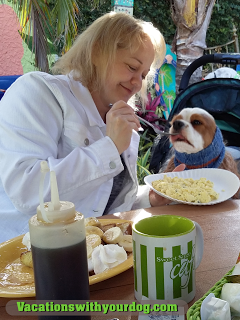 Just because a cafe has outdoor seats does not mean they allow dogs. 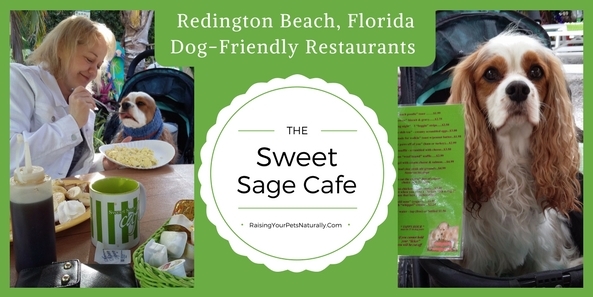 I was tickled to find Sweet Sage Cafe and Boutique not only allowed dogs, but catered to them with their own dog menu! I don’t have to tell you that feeding Dexter real food is always the way to go. Scrambled eggs for Dexter all the way. 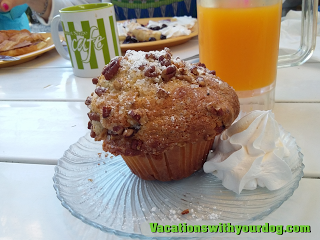 On our first trip to Sweet Sage Cafe and Boutique, (yes, we ate there three times – it was that good), I was impressed by the tranquil and fun outdoor seating area. It was huge and full of such fun and eclectic items. The staff was very friendly, efficient and welcoming. Dexter was greeted with enthusiasm and they brought him his own water bowl as they sat us. While we sipped our fresh coffee and freshly squeezed tangerine juice we chatted with each other about the cute décor. We immediately had to go inside and check out the gift shop, where there was a nice selection of dog-themed gifts. Hmm, maybe I should see if they would like to sell What’s For Dinner, Dexter? I bought a monster dog mug, I just couldn’t resist. Sweet Sage is open daily from 7-2 with a breakfast and lunch menu. Choosing what to eat each time was a challenge because of all the great menu items. First up, classic French toast and bananas and coconut! Oh, and not too eggie. I LOVE French toast but hate it when they make it so eggie and mushy. This was perfect. I’m hungry just looking at the photo. Next up, was a homemade jumbo muffin. Yum. I love my bakery goods. Last, but certainly not least were these two huge pancakes filled with, you guessed it, bananas and a great sweet sauce. No, I’m not a sugar junkie. At every visit, our food arrived quickly, we were greeted with a smile and well taken care of. The food was hot, fresh and tasty. I really enjoyed the casual and friendly atmosphere at Sweet Sage Cafe and Boutique. 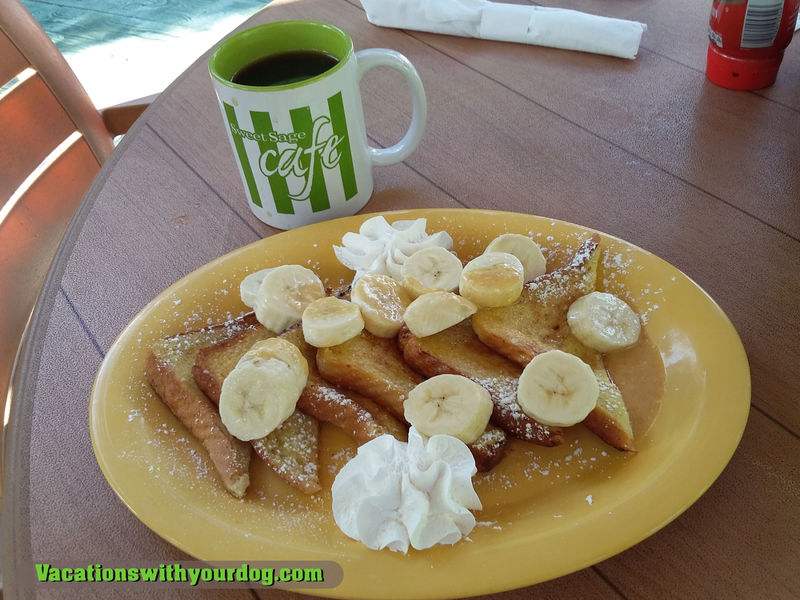 The dog-friendly atmosphere made this a very welcoming place to eat. The Sweet Sage is a wonderful neighborhood family restaurant that I definitely recommend. 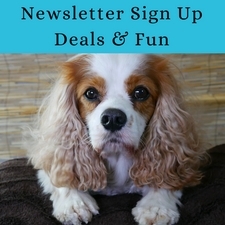 So, bring your favorite canine and head over to Sweet Sage Cafe and Boutique. Tell them Dexter The Dog sent you. What would this be a place you and your dog would enjoy? Tell me in the comments. Oh my doG, you had me at “French Toast.” Yum! This looks like a wonderful venue, thanks for sharing. 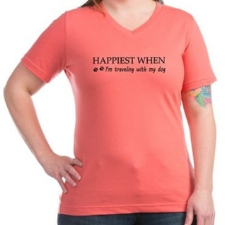 haha Me too! But only if they make it good and not with too many eggs. This was perfect. Dexter eating off of a spoon, sitting at the table… So cute! Looks like a great place to hang out and eat. 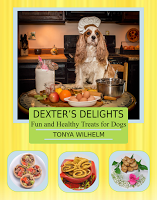 Will you and Dexter be at BlogPaws ’17? Oh wow, this place looks amazing and my tummy is grumbling just reading it! I know of one place around us that (officially) allows dogs in their outside seating. Unfortunately, our dog isn’t as calm as Dexter seems to be. How lucky to be able to dine with your dog! Thanks, Rachel. Dexter has had lots of practice. However, he can be goofy at times. I often bring a food stuffed toy for him to chew on. You’re so right about checking whether or not a restaurant or cafe that allows dogs outside, allows them in as well because it’s not often the case. What I’m truly impressed by is the fact they have a special menu for them as well. Thanks for sharing your fun times!! The menu was very large too! It was so much fun. 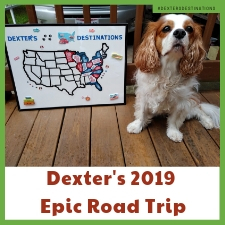 Looks like you and Dexter had a wonderful time! I wish more restaurants around here allowed dogs to join in. We had a wonderful time. Hopefully, more folks will allow dogs in the future and hopefully dog parents will be responsible. What a lovely restaurant the food looks so good. I am glad they let dogs in, it would be a shame not to. Well someone is getting the royal treatment! How fun, we wish we had more dog friendly places around here! Thanks for sharing! He took is KING status to a new level that trip. What a wonderful place, I would definitely love to visit the Sweet Sage Cafe! We’ll be traveling to Florida a few times over the next year, I’ll be sure to look for this cafe. I do the same thing, I look for eating establishments with dog friendly outdoor patios. I love that mug too, it’s perfect. I’m using the mug today! I love how big it is. Have a great time in Florida, I have a few more places in the blog and a few more to write. Looks super delicious! Makes me want to make a trip to FL just for some french toast. It’s great that they have a dog specific menu for pups to enjoy a special treat too! That menu was so fun and so cute! 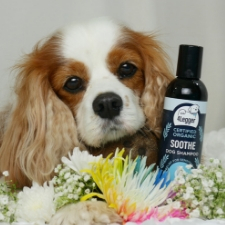 How did you find the prices of the dog items? Do you view the offerings as healthy? As far as I know there aren’t any places where I live that offer dog menus, but there are a few that allow dogs. The prices were on the menu. Dexter had eggs, which are healthy. My items, not so healthy. San Francisco is on the bucket list! Wow! Not only dog friendly, but items on the menu for them. What a great place. It was such a welcoming place. That French Toast looks delicious. I’d like to go there and see all the other dogs too. Only one of my dogs is really okay to dine out, and I’m sure she’d love it there as well! Yes, not all dogs do well in public places with food. My last dog, was a no. That French toast looks good! Around here, almost all patio seating is dog-friendly. Doesn’t do you much good in the winter though. Cool. Ya, traveling in the winter isn’t as much fun. You know, just ask. That’s what we do. If they have a buggy, they may be welcomed more often. Sure thing! Yes, it’s so nice when they are welcoming. The Sweet Sage Cafe is a real gem. Love how you have to keep the ears out of his face! LOL So funny. Chihuahua ears don’t’ have that problem BUT we do struggle to keep the “chest hair” clean sometimes! LOL Always happy to see pet friendly dining options. What a great place and Dexter looks so cute at the table. I love Florida. We only have one really dog-friendly cafe serving food that I know of in Toronto as you need a special license. There is some province-wide law about health – rather frustrating. Interesting. It’s crazy that there are all these stupid dog regulations when they truly aren’t full of disease like people seem to think. I love going to dog-friendly restaurants. Even though I don’t have a dog myself, I enjoy seeing them. My favorite in Southern California also has a special menu. Apparently, even though many restaurants in California have allowed dogs on patios for years, only recently was a law passed making it legal. That’s sweet you enjoy watching the dogs. Hopefully, this will continue to develop and encourage other patios to open their doors to dogs. How awesome, we live on the gulf in south Texas and have three dog-friendly restaurants that we love to go to! How fun! I need to do more adventures here in my own city! Funny, I do less outside dining with Dexter in my hometown than on vacations. However, I have learned, if there is a patio, to ask. About 50/50 tell me yes. Aww I love this! We have nothing like that here! Our little dog would love to come along for a family meal, and he would definitely love to sit at the table and join in the fun! That’s sweet you enjoy watching the dogs. LOL! I’m always happy to see pet friendly dining options. Dog watching is one of my favorite pastimes. This is so cute! I think my dog would be a pain to bring to a restaurant because he is big and clumsy but I think this is cute for smaller dogs. I envy you your good communication with animals. This is really sweet! Aw Dexter is so cute sitting at the table with his food. I love eggy bread and this coconut version sounds amazing. OMG how cute is this little dog café! My dog passed away but he would have loved this since he loved being around people and food LOL! I am so sorry about the passing of your dog. Yes, Dexter loves people and food too! Wow, what a nice find! It seems like they have a really nice atmosphere and the food looks good. It’s awesome that they actually had a dog menu! It was a total gem. I’m not kidding that the food was amazing. Dexter loved his morning eggs and even some fruit. A restaurant that lets you dine with your pets? The food looks pretty good. It was a blast. And this food was truly fantastic! We are traveling again to this area in 13 months and will definitely hit The Sweet Sage more than once. Totally unsafe for the dog and even possibly people. I agree. If you aren’t planning on taking your dog with you on the adventure, he would do best at home. The food looks delicious! I find that for specific restaurants that have a nice view or accommodate pets, the food isn’t always that good because I guess they feel they don’t HAVE to be because they offer something unique that other restaurants don’t have. But this place actually looks like it’s got yummy food! I didn’t even know there were dog friendly restaurants. How neat is that! 🙂 If there is an outside patio or deck, I always ask. I would say 50/50 say yes! There are SO many dog friendly restaurants in Dallas where I live. Good to know if we get a dog. That’s awesome! Dallas is another place we would love to travel. West! We have to go West. This would be such useful information for people with pets… I am sharing this article with my cousin! She has a dog and would find this very informative! Thanks, Suchi! It’s so nice to be able to take our pets on our outings and vacations. I hope your sister enjoys it. Any place that is dog friendly, I will be in. It looks like you two had a fun time lol. We had an amazing trip!~ I’m like you, dog-friendly, I’m there. We’re going back in 13 months. I am loving the rise of cat and dog cafes. Our pets are such a fundamental part of our lives it’s really nice to be able to take them out to eat sometimes too. This looks great for pet owners. My parents have a dog so I will have to let them know about this. That’s great. It’s such a great place. The gift shop is so nice too! 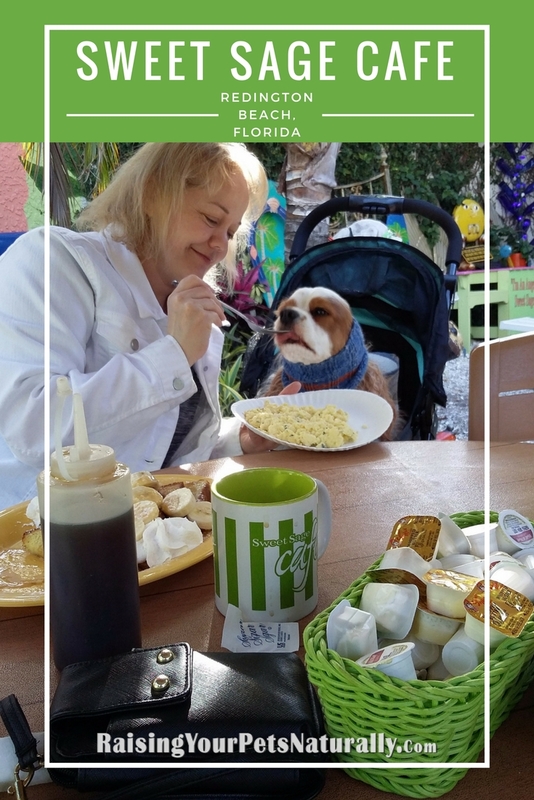 How great and amazing does this place look, the food looks scrumptious and I always love that you find the best pet friendly places too. Thanks, Lindsey. 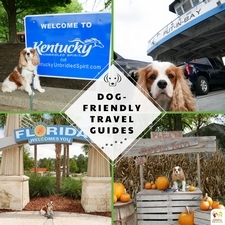 It’s a treat to find pet-friendly activities and restaurants. Yes, the food was amazing!